Waters Edge Wedding. Our day started with the bride and groom at their hotel room, as they were getting ready for their outdoor wedding at Waters Edge Marina. We spent early afternoon photographing the details that the bride and groom so specifically chose for their wedding. The details were based on their nautical theme that they had planed for their wedding. This is part of the day we get to enjoy very much with the bride and the groom. During this time I love to photograph the bride as she interact with her bridesmaids. After the getting ready portion of the day, our next stop was Waters Edge located in Berkeley Township, New Jersey. This venue is spacious, but what caught our eyes was the marina along with the beautiful and spectacular view of the bay. Photographing the bride and groom outside of the venue was spectacular and the interaction between them was priceless. Late in the evening I asked the couple to join me outside I can photograph them with the marina in the background. 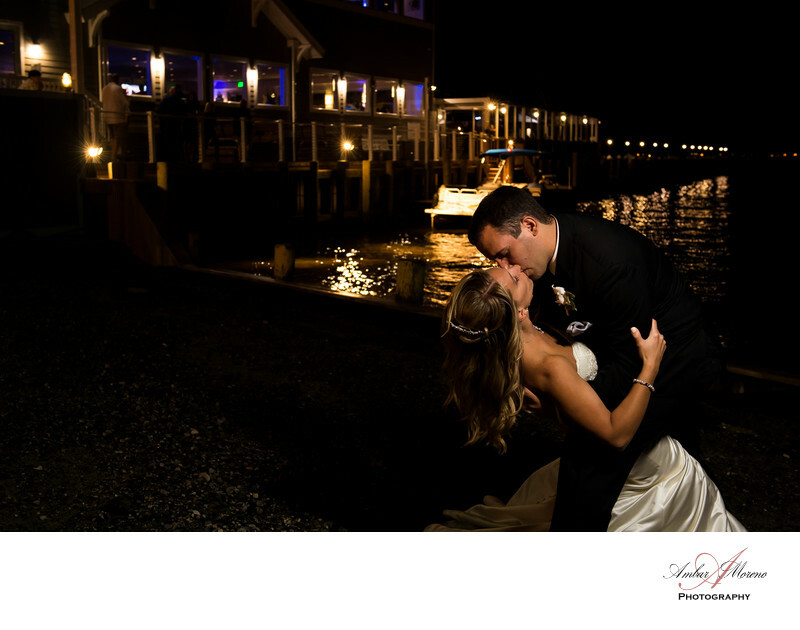 The light on the marina and light illuminating the couple was absolutely beautiful. The Waters Edge at Bayville is a gorgeous venue, which underwent massive renovation after enduring the wrath of hurricane Sandy. The venue is elegant and absolutely beautiful. The photo opportunities at this venue are endless. Location: 11 Whitecap Way, Bayville, NJ. Keywords: Bayville (15), Martells Waters Edge (15).